Punjab Governor Latif Khosa has said that no political elements would be allowed to enter into the interim government setup and a consensus on a caretaker prime minister is hoped soon. 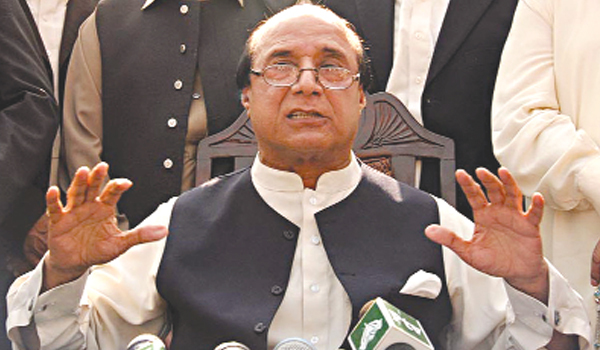 Talking to media persons here on Wednesday, Latif Khosa said that the local bodies’ election, if held, would not affect general elections, but delaying tactics in this regard were being used. The Governor said that the consultation for a caretaker setup was underway, but it would include only impartial people. He blamed Punjab’s Chief Minister for hording Rs 300 billion in secret funds, which were feared to be used for his election campaign. An Auditor General has been informed to probe this case, he added. He said that the Punjab government had adopted a discriminatory attitude towards the doctors’ fraternity, who were demanding their constitutional rights.